If you already have the tools and some of the supplies, then by all means DIY-ing can totally be cost effective. However, if you have to buy specific tools or expensive supplies to make an item, sometimes it might actually be cheaper to just buy it. That being said, there’s a special feeling that you get while making something, which you simply can’t get with a purchase. It’s the creation experience and the feeling of accomplishment that adds value to something that you make with your own two hands. So, the trick is learning how to balance that feeling you get when making something versus the ease of buying. There are loads of small things you can DIY like your bridesmaid “ask” gifts, save the date invitations, favors, the guest book, table numbers, directional signs, maybe even the cake topper and lots of other little details in between. Those are all terrific items to consider making yourself but none are really going to save you money. However, the big five below definitely will. 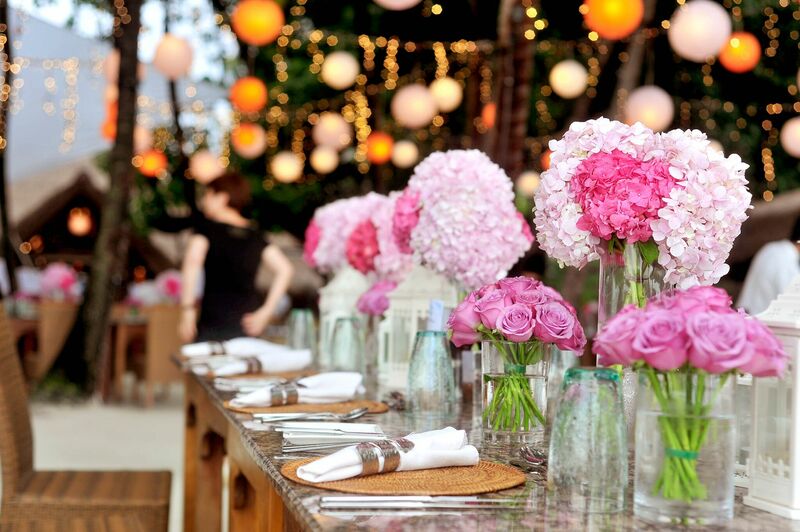 Get creative and host your special event at a non-traditional venue. This could include a backyard, a local park, or possibly even a large rental home. Keep in mind the logistics for hosting a large party at a place that normally doesn’t will require special thought on items like rentals, parking, restrooms, and noise restrictions. 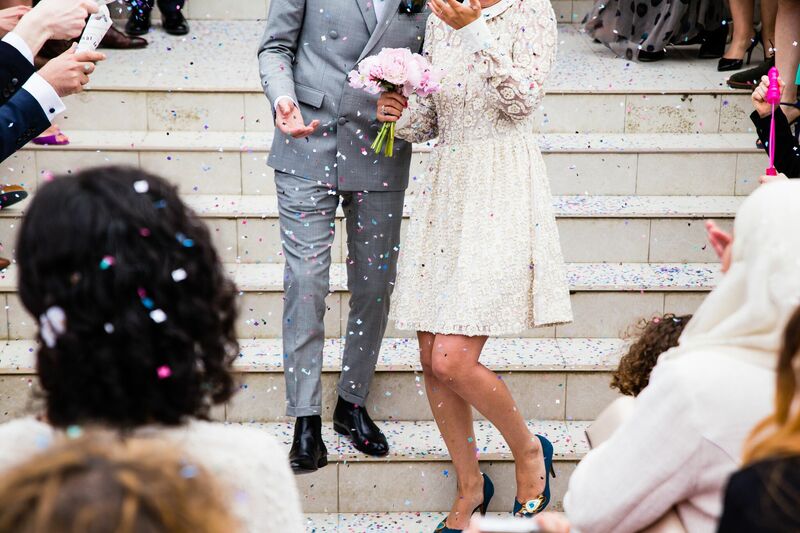 The best part is that opting for an unusual venue can save money. Passing on hiring a florist is an easy way to save money if you’re comfortable with arranging flowers yourself. There are several online tips and videos that share how to make bouquets and boutonnieres with great ideas for simple centerpieces, too. For this element, you’ll want to designate a few friends or family members to help out, just so that you aren’t running yourself ragged making bouquets and adding blooms to vases, when you should be relaxing and getting ready. Online wholesale flowers are on the rise because they make ordering and delivery super easy, and they will even give you care and arrangement advice. Buying your own alcohol can tremendously save money. Especially if you go to a large club style store or hit up the popular wine sales. Many venues will allow you to bring in your own alcohol. Some will impose a surcharge, but the leg work is worth the savings. If DIY-ing the alcohol and the bar sounds like a good idea to you, then you can hire a friend to bartend or search Pinterest for super cute “DIY bar ideas” on how you can create a darling self-serve bar for your guests. The DJ can be a huge element to getting your party started and keeping it going, but if your friends and family don’t require that type of motivation, DIY-ing this element might be perfect for you. Rent or borrow a few speakers and have some fun creating different playlists on your favorite digital device. Just make sure that you plan out the timing of everything so you have enough music. Designating a friend to make sure the lists play on time is also a great idea. You could even ask for song requests from your guests on the RSVP cards and add them into your playlists where they fit. Wedding cakes can be expensive, some up to $20 a slice per person. Instead, you could order a small cut cake and then serve sheet cake from the kitchen. Or you could pass on the cake entirely and serve cupcakes, pies, ice cream, or any other dessert that you like. The dessert served at your wedding should reflect you as a couple so get personal with it and leave the fondant at the bakery. 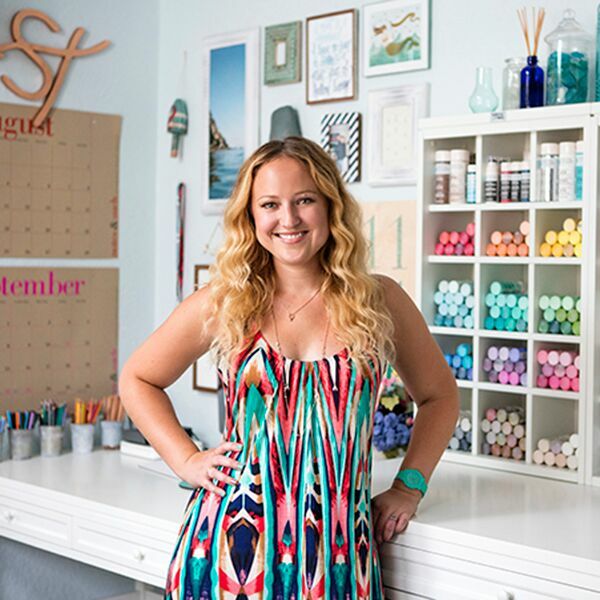 Jen Carreiro is the founder of Something Turquoise, a wedding blog that truly embraces the DIY bride. She shares ideas, tips, unique inspiration and most of all - DIY tutorials that actually work.